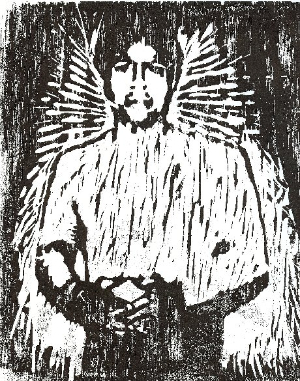 This Black August as we mourn the loss of political prisoner Hugo Pinell, who spent years locked in solitary confinement at Corcoran, Pelican Bay, and Tehachapi prisons, we also take inspiration from the advances made by dedicated imprisoned organizers. Despite being locked in a cell for 23 hours a day, Pinell and others isolated in solitary have drawn unprecedented attention to the torturous practice and galvanized outside organizing to eliminate its use through the hunger strikes and the 2011 Agreement to End Racial Hostilities, circulated inside and outside of prisons. This concerted effort is compelling shifts in mainstream conversations. This month, the New York Times published a front-page piece in the science section detailing the irreversible mental and physical harm of solitary confinement and the draconian criminalization criteria that California used to condemn people to isolation for decades. The article features research commissioned by the Center for Constitutional Rights, one of the law firms currently suing the state of California for its use of long-term solitary confinement. While we wait to see what this lawsuit will bring to bear, the movement isn’t slowing down. On the 23rd of every month, the Prisoner Hunger Strike Solidarity Coalition has helped to launch statewide coordinated actions to end solitary confinement in California, which “acknowledge the importance of organized, community-based pressure as a core strategy (along with courts and legislators) of our work outside the walls to end solitary confinement.” These are having an impact and resonating beyond the west coast, with organizers in New York taking up and initiating actions in NYC. These actions are linked to coordinated organizing efforts to galvanize New Yorkers to demand an end to New York’s use of the practice, which currently holds 5,000 people in extreme isolation in NY state prisons. At Critical Resistance, we are also pushing the struggle forward. This past spring, CR Oakland began a letter correspondence project with people who are or have been in solitary confinement in California to track the progress of the Step Down Program and the implementation of other measures taken by the state in response to the Prisoner Hunger Strike. Over 100 responses in both English and Spanish from allies across the state have come in already, and CR Oakland has been working hard to solidify relationships, forge new networks of resistance, and identify potential campaign targets that don’t rely on an active hunger strike. We’ve learned how little has changed day-to-day for people inside prison walls despite legislative and judicial victories and how much it matters that people on the outside amplify voices from the inside. Where from here? In closing, we want to share this article, “Tweaking Armageddon” by CR co-founder Rachel Herzing, which discusses the “potential and limits” campaigns that address conditions of confinement. As we attack the logic and legitimacy of the state’s power to criminalize, displace, isolate and silence our community members into the farthest depths of isolation, in the most far flung prisons, we remain bold and determined. As we move ahead, we want to be sure that our demands are visionary, and the steps we make create broader openings to abolish the prison industrial complex. P.S. 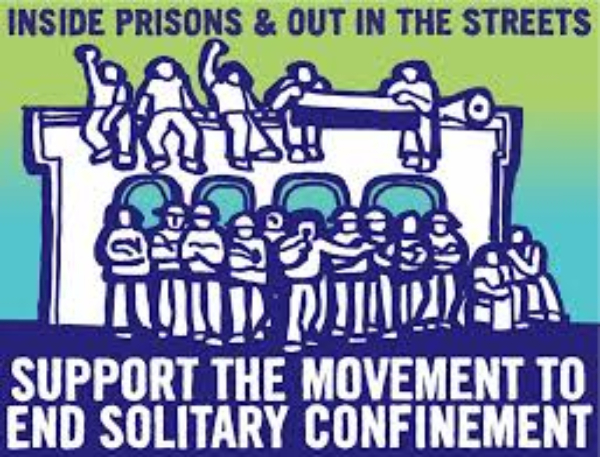 Many imprisoned people have asked us to show solidarity by amplifying their demand to abolish solitary confinement. In honor of the 2nd anniversary of the largest prison hunger strike in history, we’ve launched an #AbolishSolitary social media campaign to keep the spotlight on solitary confinement and advance the prisoner-led call to abolish it. Check it out and help us spread the word.